free music downloads, free games, free art: zonicweb.net. zonicweb is an English online music and arts centre based in olde London towne. : free music downloads, music video, band features, music technology dictionary, bad album covers! 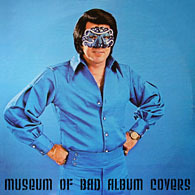 museum of bad album covers. UPDATED! zonicweb free music downloads. ninja tune free music downloads. big dada free music downloads. mush records free music downloads. join the zonicweb mailing list. (Your details will be used to send you zonicweb mailings only). : online exhibitions of contemporary artists, free wallpaper. : free Flash / Shockwave games. zonicweb.net is a free site, which receives no sponsorship, nor money from advertising or any other source.